An investment program aims to shake up traditional funding models in the arts. Los Angeles artist Mark Bradford, who will represent the United States at this year’s Venice Biennale, recently addressed a group of museum supporters, saying, “We should push the boundaries of what it means to be an artist.” He is following through on that credo with his organization Art + Practice, which brings museum programming to the underserved L.A. neighborhood of Leimert Park while supporting local foster youth. To keep up with the evolving nature of art-production enterprises like Bradford’s, several institutions and sponsors devoted to art are likewise changing their strategies. A standout is the L.A.-based Center for Cultural Innovation (CCI), a nonprofit that supports projects linking philanthropic institutions with individual artists. 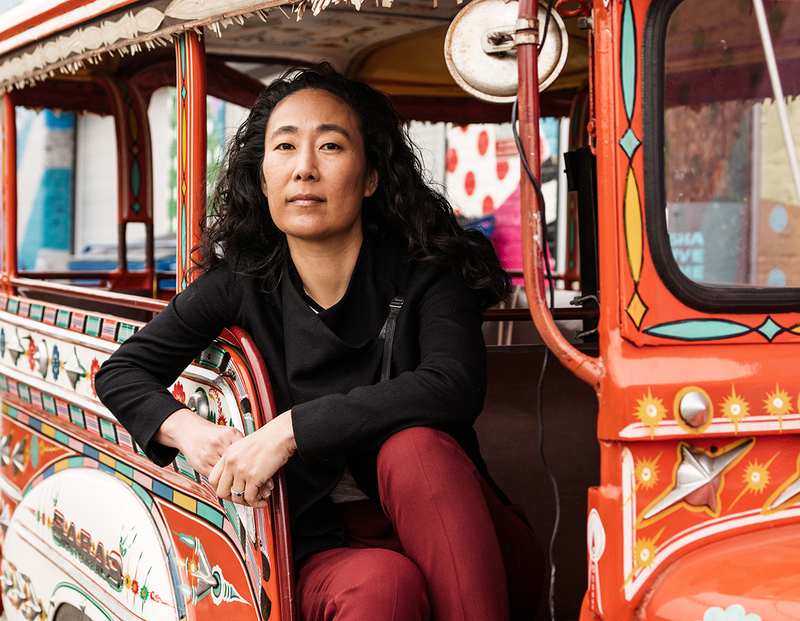 For CCI president and CEO Angie Kim, the program ultimately attempts to erase the delineation between the “high art” of the traditional art world and the “low art” of commerce. CCI is potentially the beginning of an expanding ecosystem that will incorporate art into local economies and vice versa. Since its founding, in 2001, CCI’s primary intent has been to unfetter artists’ productivity and impact through its support network. The organization’s collaborators include forward-thinking supporters who share an exceptionally broad understanding of art, such as L.A.’s Department of Cultural Affairs, the Surdna Foundation, and the Roy and Patricia Disney Family Foundation. These groups are finding ways to provide the building blocks for a new breed of independent creative entities, allowing more artists such as Bradford to step out of standard artistic channels. CIIN’s decision to call its efforts an “investment program” no doubt creates the shadow of capitalism (and the question of whether it allows for an exploration of prosperity without growth). It also brings to mind the values of venture funding—driven by the constraints of scale, margin, and exit—which are generally at odds with the creative process. The program’s desire, though, is a worthy one: to promote experimentation at the intersection of art and economic development, and to bridge the two. Kim highlights previous grantee Mi Vida, a boutique that promotes artists of its East L.A. community who are making objects that reflect their cultural identity. 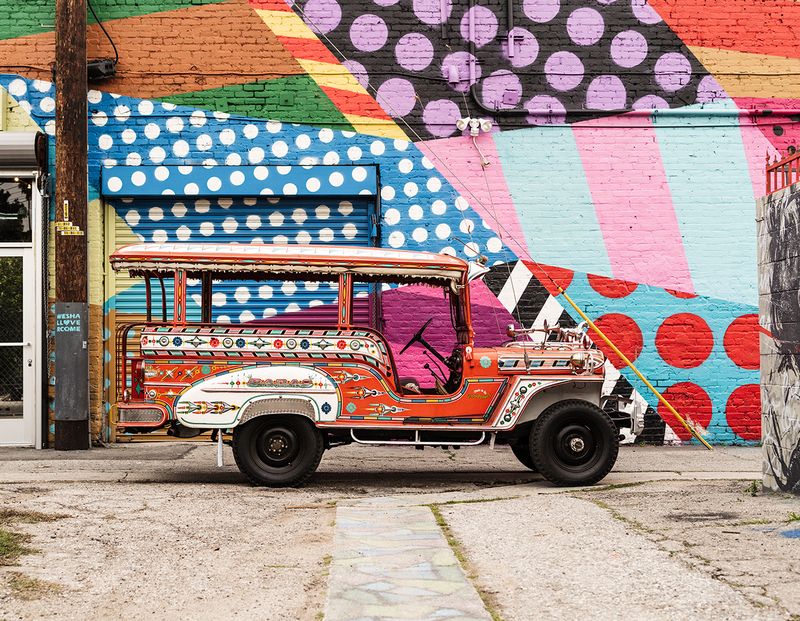 Another grantee, Public Matters, trains younger generations of the city’s Historic Filipinotown to conduct local tours by jeepney. Other CCI-supported groups include Project Q, a retail business that provides free haircuts and styling for homeless queer and trans youth out of an Airstream trailer, and the organization LURN (Leadership for Urban Renewal Network), which assists entrepreneurs and artists, and works to legalize street vending to help low-income immigrants. From the looks of it, and if Kim has her way, approaches to art practice’s like Bradford’s could become a lot more common very soon. In this column, we ask our special projects editor, Bettina Korek, founder of the Los Angeles-based independent arts organization For Your Art, to select something in the world that she believes you should be aware of at this moment.